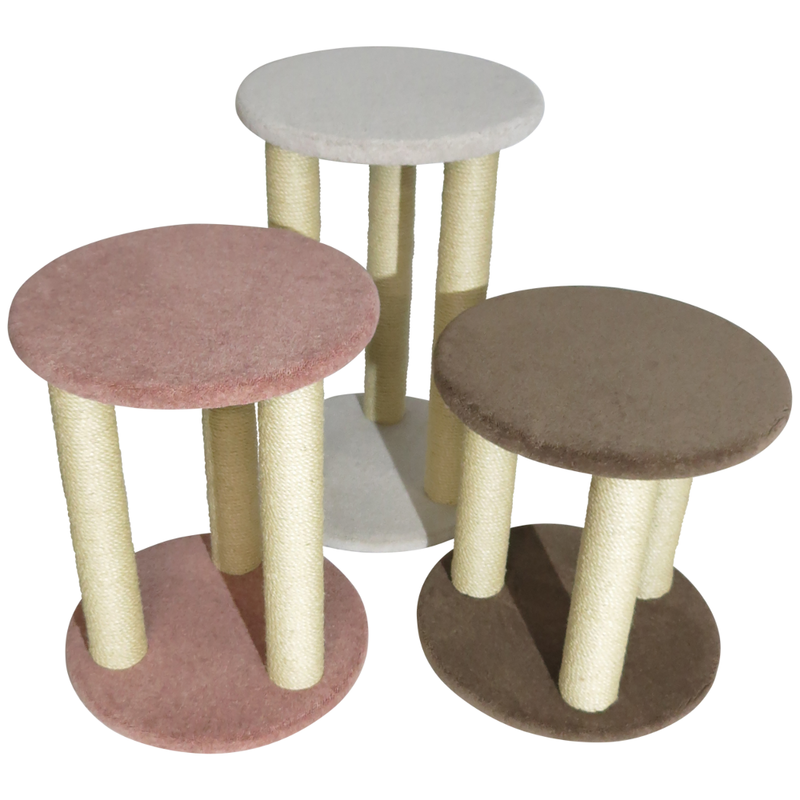 The Bobbin is a great place for your cat to have a lie down and stretch out or a couple of cats to snuggle up together. 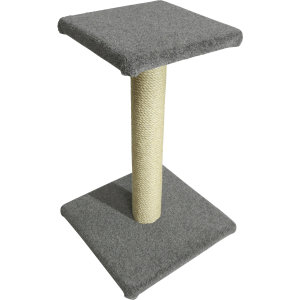 It's also a great height to have a nosy out of a nearby window whilst still being a sturdy place to have a satisfying scratch. 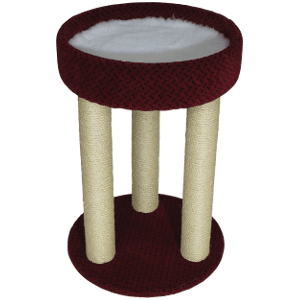 If your cats love to scratch at carpet this is a great choice as the large platform gives them plenty of space to scratch away. 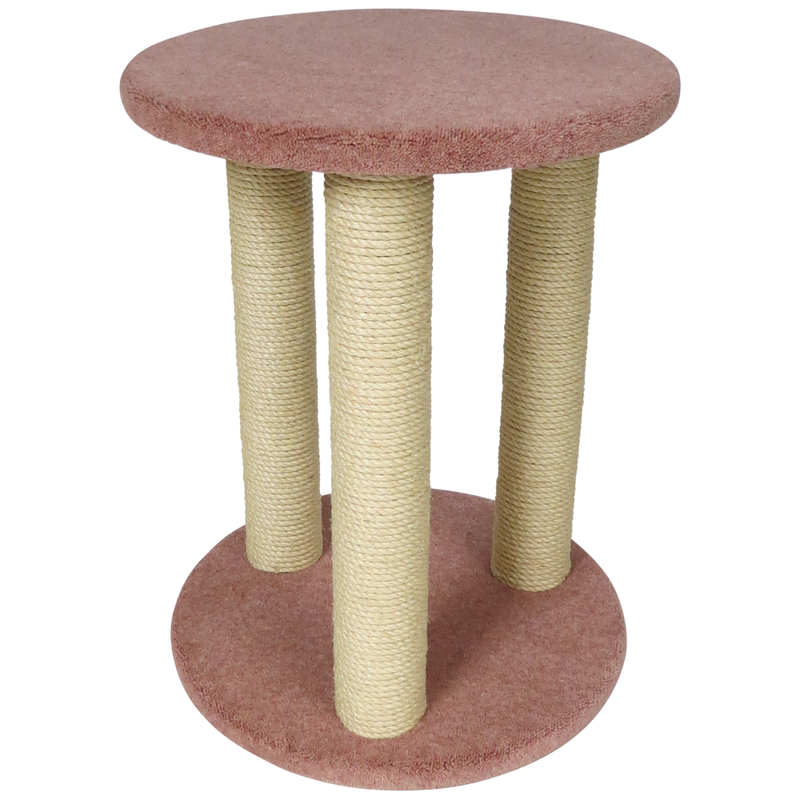 This scratcher stemmed from us wanting to add more modern looking designs to the range and getting a new router table in the workshop. Meaning we can now make perfect circles! 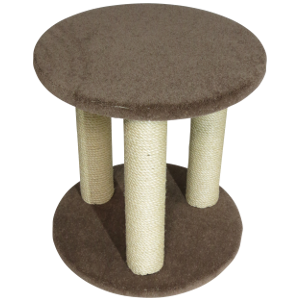 We took it home to let our cats try it out and it was an instant hit! Our cat Matilda (who is the picky one) loved the design straight away and can now always be found curled up in her favourite spot. 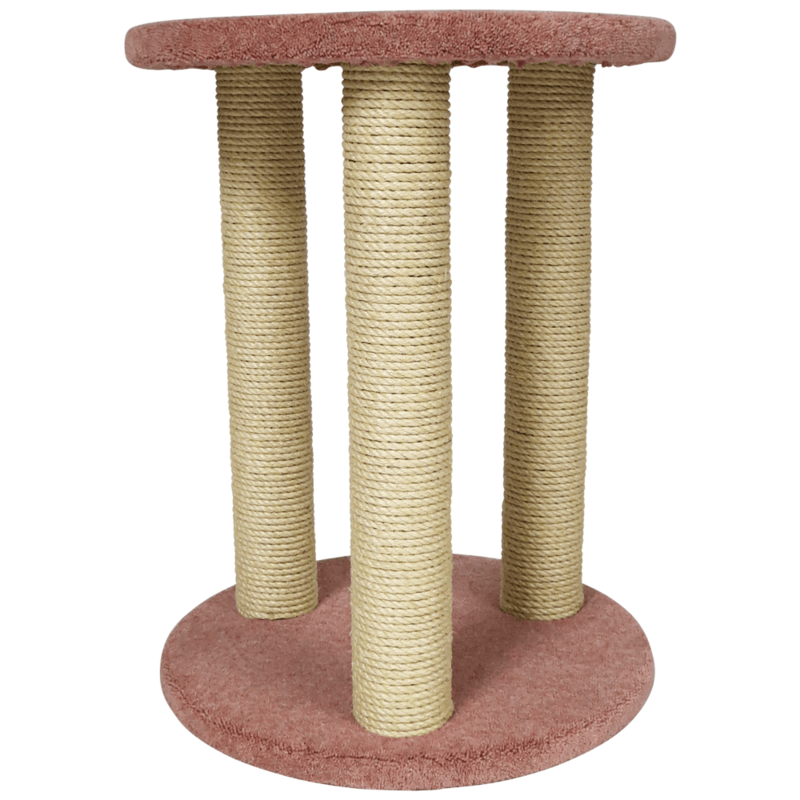 This scratcher is made from a carpeted base and top platform, measuring 20 inches in diameter, and three 24 inch long, solid timber, sisal wrapped scratching poles.